Work > My Schedule takes you to the My Schedule screen. Here you can see a calendar view of all your Aeros. The screen defaults to the Agenda view but you can choose to view your schedule for the Day, Work Week, Week, or Month by clicking on the buttons in the upper right corner. Aeros that are completed will be black while Aeros that have not will be blue. The day, week, and work week view defaults to business hours. You can toggle it to 24 hours by clicking the Show full day button. The My Schedule screen only shows appointments and tasks. Emails and Notes will not be shown. In the Work Week, Week, and Month views you can rearrange your schedule by clicking a dragging an Aero to a new date and time. In any of these views, if you double-click on an Aero a window will pop up where you can edit the start and end date and time. Completed Aeros are will show up with black type instead of blue. You can edit an Aero from this screen by clicking the 'E'. 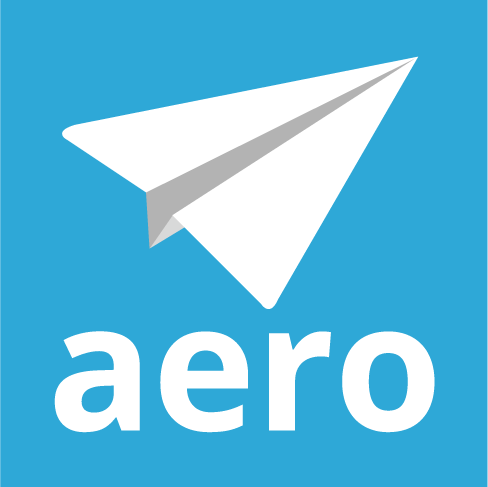 You can also start working on an Aero from here by clicking the plane or clock icon.